A linked list is a data structure in which the objects are arranged in a linear order. Unlike an array, in which the linear order is determined by the array indices, the order in a linked list is determined by a pointer in each object. 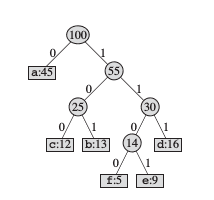 It has a group of nodes which together represents a sequence. Under the simplest form, each node is composed of data and a reference (in other words, a link) to the next node in the sequence. ➧ Linked lists are a dynamic data structure, which can grow and be pruned, allocating and deallocating memory while the program is running. ➧ Insertion and deletion node operations are easily implemented in a linked list. ➧ Dynamic data structures such as stacks and queues can be implemented using a linked list. ➧ There is no need to define an initial size for a linked list. ➧ Items can be added or removed from the middle of list. ➧ Backtracking is possible in two way linked list. Because they don't allow compiler to default generate it and any invocation of those functions make the program ill-formed (aka compiler will print an error saying the function has been deleted, thus not callable). Purely compile time thing. We have put it there because the class does not implement rule of three, and thus those functions disallow any ownership transfer. means the friend declaration here firstly declares a non-member function, and makes it friend of the class, meaning it can access the private and protected members of the class LinkedList. The standard way of printing things in C++ is to use operator<< so we can print a list using it.